Equifax stunned the world in 2017 when it was revealed that a security breach let the personal data of 143 million people slip into the hands of cyberthieves. Account details and account information were also exposed and possibly stolen at Marriot (up to 500 million people), the USPS (60 million people), Yahoo (up to 1 billion people) and Facebook (50 million people) – to name a few of the other big ones. There have also been data breaches at Quora, T-Mobile, Panera, Saks Fifth Avenue / Lord and Taylor, My Fitness Pal, Orbitz, Sonic, Arby’s, Friendfinder, Wendy’s, Linkedin, Hyatt and the list keeps growing. To check your credit information – for free – click here for instructions from the Federal Trade Commission. The cyberthieves who steal information may accumulate and combine it with other information they obtain from other sources over time. And they may wait years before acting on it or selling it. Not to be alarmist, but just because you haven’t had your identity stolen, don’t assume your data is safe. 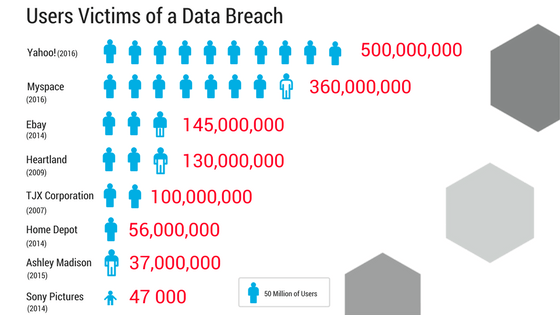 With all of the data breaches in the past few years, there is a very good chance that your private information is out there. My conclusion for myself was to freeze my own credit. I currently have no plans to apply for any new credit, so there is no inconvenience until I do. If you haven’t frozen your credit already, now may be the time for you too. Since new legislation passed in 2018 there are no fees to freeze or unfreeze your credit. But that doesn’t mean it is simple to do. Here is the process for each of the three credit bureaus. And yes, you should freeze all 3 credit agencies – Transunion, Experian and Equifax. When you do want to obtain new credit, you will need to unlock your credit so your lender can pull a current tri-merge credit report. So keep good notes, save your passwords and pins, and you’ll be able to undo your freeze. Visit the Equifax website by clicking here, or call their customer service line at 1-800-685-1111. To place, temporarily lift, or permanently remove a security freeze on your Equifax credit report, you can do so through the Equifax website, by calling their customer service number (above) or by calling an automated line at (800) 349-9960. To lift your freeze online you will need your login credentials. You will need the 10-digit PIN you received when the freeze was originally placed to lift or remove a freeze by phone or mail. You can also lift a freeze by mail sent to Equifax Security Freeze / P.O. Box 105788 / Atlanta, GA 30348. To lift your freeze temporarily or permanently you will need the PIN you set up with this account. You can do this through their website or by telephone. Visit TransUnion’s website by clicking here, or call their customer service number at 1-888-909-8872. TransUnion processes most freeze lifts, both permanent and temporary, through its website. If you need additional assistance you can call their customer service number. Both Experian and TransUnion offer the option to lift your freeze for a certain amount of time or for certain creditors. In the latter case they will provide you with one-use PIN’s that creditors provide in order to get access to your account. ← What’s The Right Loan Program For You?